All aglow: Lumio's Max Gunawan. Max Gunawan raised nearly $580,000 for his startup in 31 days. 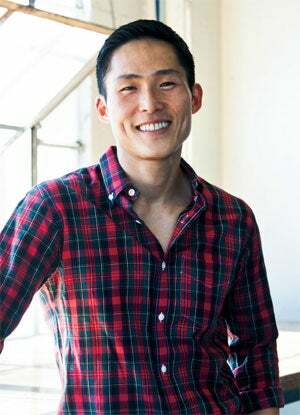 He's just one of the entrepreneurs whose business has earned a spot on our exclusive list of the Top 100 Crowdfunded Companies--those that raised money from individuals, not from institutions such as banks or venture capital firms. Gunawan's business, Lumio (No. 59 on our list), sells a lamp that unfolds like a book, a design marvel that serves as a portable light. Gunawan turned to Kickstarter in February to launch a campaign with a $60,000 funding target. He offered a first-batch version of his product, which retails for $160, to anyone who pledged $95 or more in the campaign. By March, he had 5,276 pledges. But that's nothing compared to the No. 1 company on our list. Julie Uhrman has disrupted the video game industry with her Ouya console, which is open source for game developers. After the venture capital route didn't pan out, Uhrman turned to crowd-funding in July 2012 to raise money and validation for her idea, setting what she considered an ambitious goal of $950,000. Remarkably, in less than a month her campaign had raised $8.6 million from 63,416 backers. Uhrman's Kickstarter campaign "was meant to fund product development and convert our prototype to production-ready models, secure manufacturing hardware resources and build and ship to early backers," she recalls. "Once media coverage hit, the campaign really took on a life of its own and spread well beyond our imagination." A few months later, many of the same VC firms that initially turned her down were interested in talking, and in May she closed a round of $15 million in venture capital funding. Ouya has launched in Best Buy, Amazon, Target and other retailers after several months of struggling to meet overwhelming market demand. Like Uhrman, more than 70 percent of founders of the Top 100 companies used Kickstarter to raise funding for their startups and product launches; other entrepreneurs on the list turned to platforms such as Indiegogo, Micro-Ventures and Fundable, or patched together an open-source campaign facilitated by Selfstarter. Although equity crowdfunding was legitimized this year by long-awaited regulatory guidelines from the SEC, rewards-based crowdfunding platforms have a longer history and thus dominate the Top 100 list. There has been a surge in the number of crowdfunding platforms. Massolution, a research organization specializing in the crowdfunding industry, estimates that there are more than 800 online platforms worldwide. An overwhelming proportion of these were established in the last few months; the newest platforms tend to focus on industry verticals such as real estate, journalism, sports, food, hardware or biotech. Like with any new industry, there have been growing pains. Many companies with funded campaigns that went viral have been plagued by delays in completing products and delivering on the expectations of campaign backers who were enticed by snazzy promotional videos. Entrepreneurs often underestimate the time it takes to handle communications with backers, particularly if the campaign reward is the finished product rather than a simple perk such as a T-shirt. Phil Bosua, founder of Lifx Labs (No. 21 on our list), a company that makes a Wi-Fi-enabled LED light bulb, was cautious after he completed a highly successful campaign on Kickstarter. "Managing backer expectations is important and took more time than we had originally anticipated," he says. "Many of our backers tell us to not rush the manufacturing process but instead to deliver the light bulb that they all want." Bosua ended up cutting his campaign from 60 days to just six after quickly raising $1.3 million and realizing that he would not be able to meet product demand if he kept the campaign running. Campaigns that provide backers with equity in the business rather than a product don't have the same short-term delivery pressures. Equity crowdfunding is an extension of the long-standing practice of raising investment dollars from relatives, friends and individuals within social networks to launch new businesses. U.S. households that qualify as accredited investors; this pool will be inundated with investment opportunities as the number of equity campaigns grows and new platforms ramp up their marketing efforts. As the number of platforms continues to rise, and the fight for investor attention intensifies, a new breed of investment managers has emerged who spend time poring through online profiles on each platform to identify the most promising companies. Entrepreneurs such as Uhrman from Ouya succeeded in being discovered by venture capital firms such as Kleiner Perkins Caufield & Byers and Mayfield Fund. Experienced investors like Howard Lindzon, partner at Social Leverage, an early-stage investment fund based in Phoenix, are developing an expertise in navigating the social web for investments. It's unlikely that in the near future venture capital will get subsumed by crowdfunding platforms or investment managers who specialize in these platforms. However, the companies on our Top 100 list have shown that they can raise significant capital without relying on institutional funders. With equity crowdfunding still in its infancyafter getting the green light earlier this year under the JOBS Actfigures on funds raised by startups using this method are difficult to verify. For this reason, some equity crowdfunding platforms do not appear on this year's list. However, we would be remiss not to mention CircleUp, which has helped several small businesses raise significant funds and has become a go-to platform for startups in the food industry and those that make healthful-lifestyle products. Noha Waibsnaider used CircleUp to raise money for Peeled Snacks, which makes organic snack foods with no added sugar or preservatives. "In the food industry," she says, "institutional investors such as venture capital and private equity firms don't invest until later stages, so food companies need to raise money from individuals."